Old American cities hide many old secrets, and if you believe National Treasure (yes), then you know there's cool stuff stashed below the sidewalks. You just need to know where to look. Before you do any ill-advised digging, we've done it for you. Here are 14 cities with deep roots and even deeper holes in the ground. 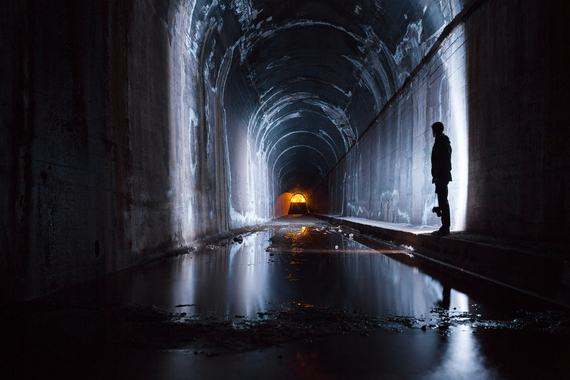 No surprise here, but Boston has abandoned subway tunnels, and they're the oldest in the country. 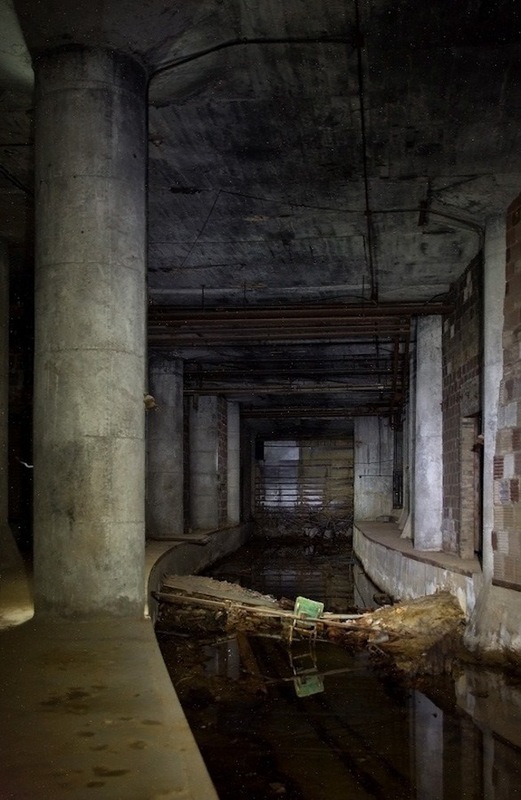 Many of the passageways are sealed, and they often lead to forgotten relics such as the Scollay Under station and the former underground rapid transit yard at Harvard. Other interesting treasures found in the depths include mosaic-tiled station signs, rusty tracks, and an old connection that linked Boylston Street to the South End. (Totally useful.) A crazy guy from Abandoned Subway Tunnels went "spelunking" below the Hub, and you can view his photos here. Like Boston, age-old Brooklyn has its share of deserted subterranean artifacts, and the most well-known is the cavernous subway tunnel under Atlantic Ave. 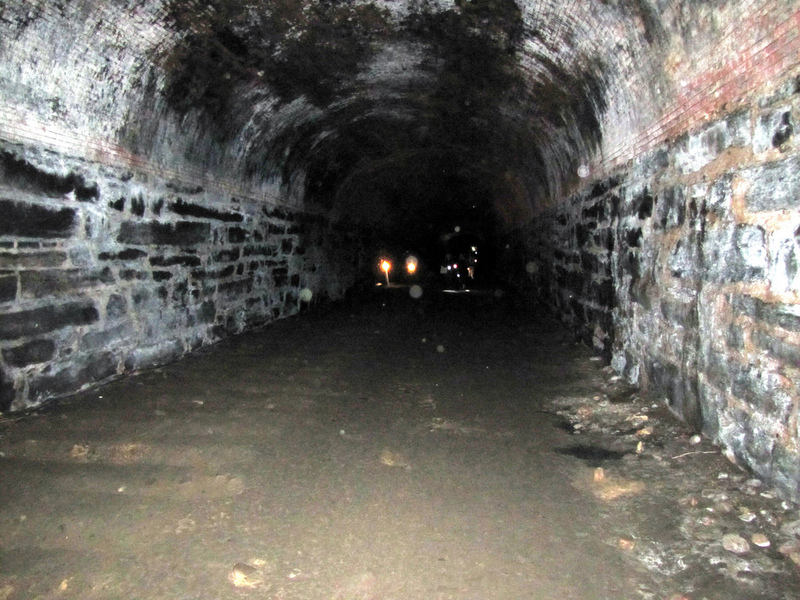 Commissioned by Commodore Cornelius Vanderbilt (yes, that Vanderbilt) in 1844, the tunnel connected two stations so that trains didn't need to be pulled by horses before being reattached to their engines. Sounds exhausting. When steam locomotives were banned in 1861, the tunnel entrances were sealed and everyone forgot about the tunnel AND steam locomotives. According to lore, there's a train engine buried down there, too. 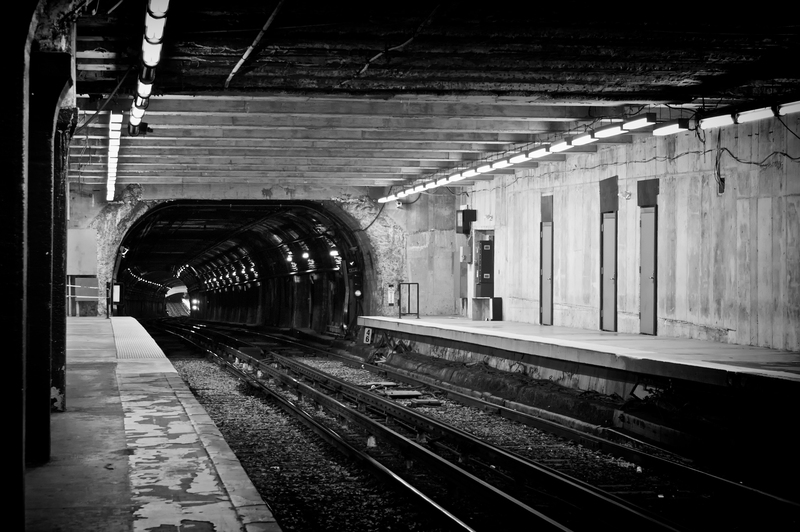 Chicago has both Boston and Brooklyn beat with SIX different sets of "left behind" holes in the ground: the Pedway, CTA tunnels, cable car tunnels, freight tunnels, water tunnels, and "The Deep Tunnel." (Please stop smirking.) The cable car tunnels pre-date the "L," are 60 feet below ground, and went unused after the city switched to elevated trains to get over drawbridges (circa 1906). "The Deep Tunnel," or Tunnel and Reservoir Plan (TARP), heads down 350 feet and is essentially there to accommodate excess rainwater runoff. The freight tunnels, unique to Chicago, were designed for tiny trains and were used to transport coal and freight between prominent buildings within the Loop (i.e. City Hall, Merchandise Mart). You can find a list of other Chicago secrets right here. Back in the roaring '20s, these rail tunnels were used to conveniently transport merchandise between the Santa Fe Freight Terminal and the Fashion District. And they "probably" (definitely) carried hooch back and forth to the University Club during Prohibition. #convenient. 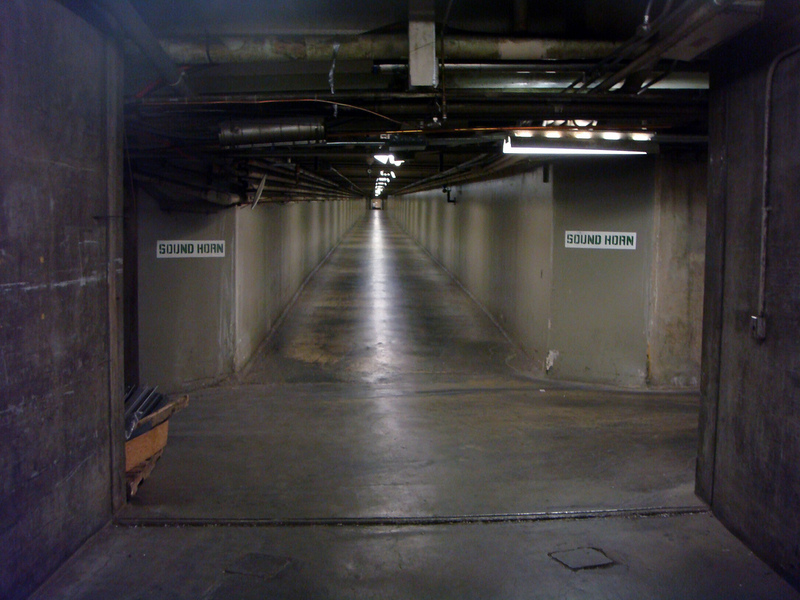 Dallas also has the mildly-used-nobody-cares-about-anymore pedestrian tunnels linking major downtown buildings below street level. Originally designed to ease street congestion and get people out of the Texas sun, they're now a civic joke and hindering actual street-level development. Find even more Dallas secrets here. Detroit loves its booze (yeah, Stroh's! ), and it's perfectly logical that many of Motor City's speakeasies had escape tunnels during that stupid time when booze was illegal. One notable example is Tommy's on 3rd Street. Their secret passageway leads to Fort Street Presbyterian Church (across the street) and was also likely part of the Underground Railroad. Of course, it served Tommy's well during prohibition as the Purple Gang kept the neighborhood stocked with bathtub gin. Lurking below Indy's historic City Market is a series of catacombs once used as "cold" storage to keep perishables fresh before refrigeration existed. (And also health codes.) The brick-arched construction is reminiscent of ancient Rome, and some of the passageways are still in good shape for being 130+ years old. (Note: not as old as Rome.) Major bonus: the City Market team is offering limited tours of the catacombs on Saturdays from May through October, and on Halloween. Find out more here. There are 11 miles of old tunnels under LA, and they should be honored for supporting the City of Angels for so long. 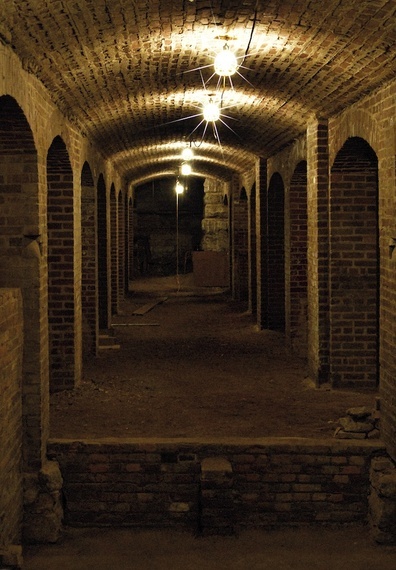 They were first employed as service tunnels, then Prohibition happened and they were used to transfer liquor to speakeasies like King Eddy Saloon. (True story: the mayor's office ran the supply chain.) Apparently, if you go behind the Hall of Records on Temple Street, there's an elevator that will take you down there... and you didn't hear that from us. LA also has abandoned subway and equestrian tunnels, but most of these subterranean passageways have been sealed due to being, umm, unsafe. 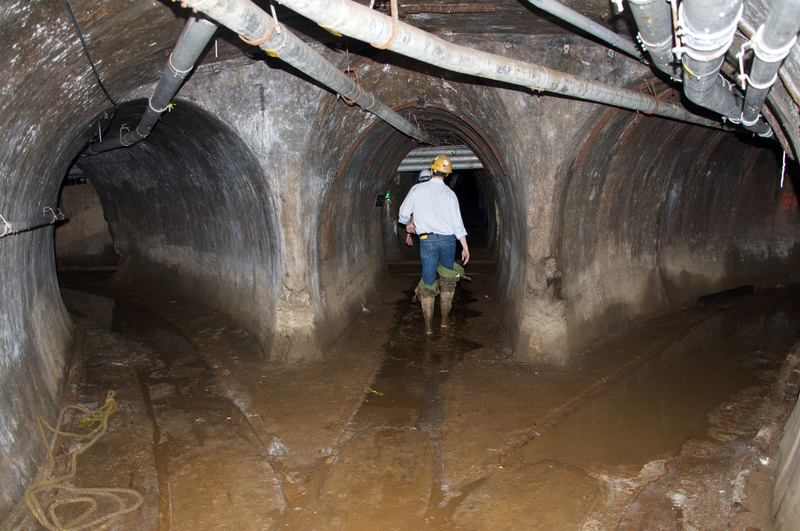 To find out more about the tunnel systems under 7 other American cities, get the full story at Thrillist.com!